We believe that truly superior homes are built by people of integrity - whose simple, timeless principles direct both the building process and their own personal lives. We have served homeowners throughout Puget Sound for over three decades. 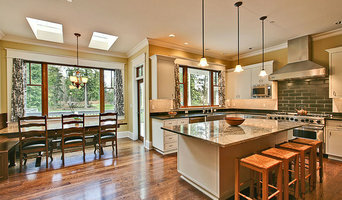 We partner with architects, designers & the finest tradesmen to craft some of the finest custom built homes & remodels. Our custom home construction process has been perfected by 30+ years of experience. We take great pride in being able to design & build a home that will satisfy both your lifestyle and your own style. MacPherson Construction & Design consists of a team of design and construction professionals who take pride in orchestrating the countless details of a project and turning them into a wonderful home. US Builders Team is a Redmond, Washington based residential and commercial design build firm with a combined 50 years of excellent craftsmanship we take pride to have built over 250 homes. Mercer Island Pacific Construction is a licensed, bonded, and insured general contractor based in Mercer Island, Washington. We specialize in custom homebuilding and real estate development. H2 View is a local builder specializing in new construction and full renovation of existing homes on view property. Our success comes from the ability to re-envision both the site and the dwelling to maximize their views and realize the properties full potential. Builders continue using yesterdays traditional design, while H2 View designs feature modern-style, reverse-open floor plans that position public spaces such as kitchens, dining rooms, and entertainment areas on the upper levels with the best views. Both homeowners and guests can enjoy and appreciate the views that make a property so attractive. Modern Luxury created by our complete team with years of experience in Real Estate, design and construction services. 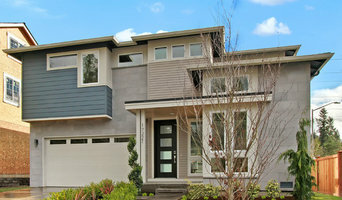 Isola Homes specializes in building exceptional and innovative new homes in the greater Puget Sound area. Our design philosophy is based on a combination of visual appeal and thoughtful practicality to create environments that are beautiful and functional. Cle Elum based homebuilder focused on new and custom homes in the resort communities of Suncadia and Tumble Creek. We are committed to guiding and inspiring our clients throughout the process. Lewis | Construction Group is a Seattle based General Contractor that goes beyond building and management to deliver quality and performance that not only build’s trust and confidence but impresses. What’s the most important step in building a new house from the ground up? Many people would say it’s choosing the right Redmond home builder. Constructing a new house is a huge and multifaceted undertaking, so it’s important to find custom home builders in Redmond, WA you can trust to bring your vision to life, as well as keep the process under control from start to finish. Although a construction job is never without surprises and challenges, a Redmond, WA home builder who’s a good fit for your specific project will make these far easier to handle. For Redmond residential home builders who also act as developers, the job starts well before the first nail is driven. They perform local market research to determine whether the prospective homesites make sense in the Redmond, WA market, as well as survey the land on which the house will be built to make sure it is suitable for construction. Custom builders also obtain the necessary permits. 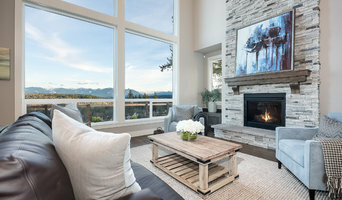 A good custom home builder in Redmond, WA has skills that go far beyond construction — he or she must supervise subcontractors and artisans; keep tabs on local zoning regulations, building codes and other legalities; inspect work for problems along the way; and perform dozens of other roles that are essential in building a quality house. Here are some related professionals and vendors to complement the work of home builders: Interior Designers & Decorators, Landscape Architects & Landscape Designers, Architects & Building Designers, Kitchen & Bath Designers, Specialty Contractors. House builders are responsible for ensuring that the home-building project sticks as closely as possible to the specified timetable, particularly in the event of change orders. Custom and luxury home builders in Redmond, WA also need interpersonal skills to deal with clients of all types, soothe frazzled nerves, negotiate conflicts and resolve problems. Find custom home builders in Redmond, WA on Houzz. 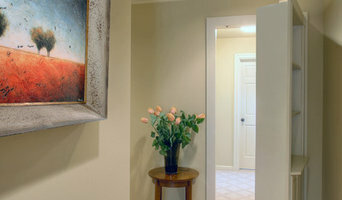 Narrow your search in the Professionals section of the website to Redmond, WA home builders. You can also look through Redmond, WA photos to find a house you like, then contact the builder who worked on it.